Wellington took a squad of 8 players to the New Zealand Junior Nationals this year and every member came home with a medal! The Under 18 team of Chun-Kiet Vong, Gareth Telfer, Ben Westenra and Ian Wang started their campaign with a grading match against Waikato to try and qualify for the A grade. They fought hard but were beaten 4:1 in the contest. Chun-Kiet won the only singles match. They then moved on to compete in the B grade getting through to the final before going down very closely 3:4 to Auckland 3. 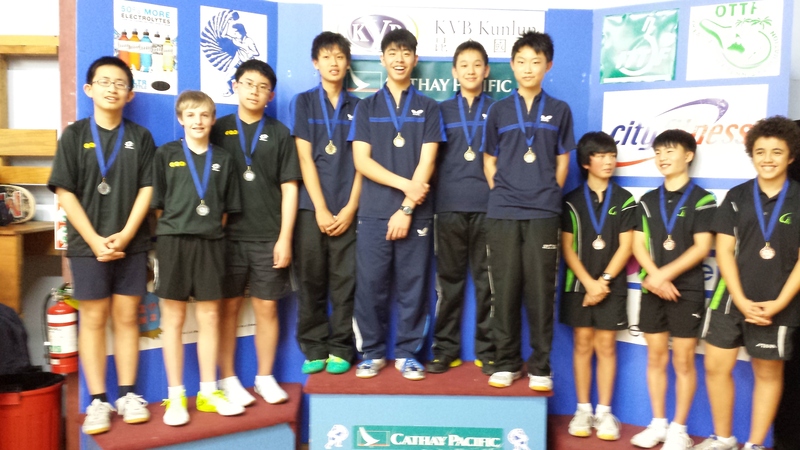 Chun-Kiet did exceptionally well winning 100% of his singles matches in B grade! 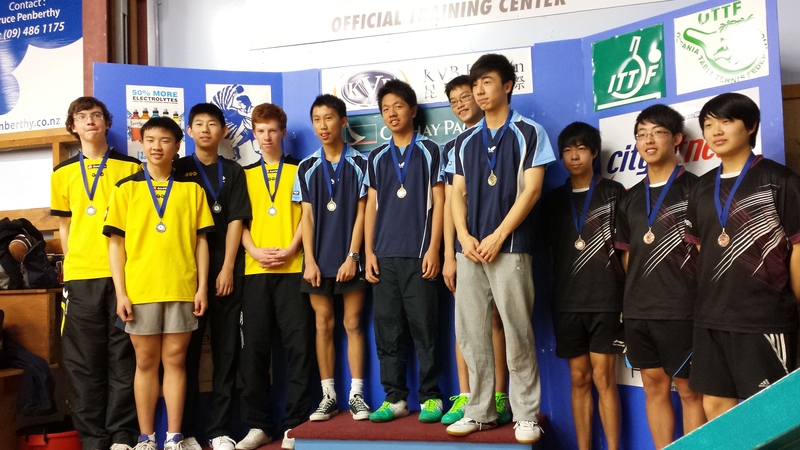 The Under 15 Team of Frank Fu, Sean Hanson and Adam Xiong did very well in the A grade. They topped there side of the group with wins over North Harbour 5:2, Auckland 2 5:2 and Northland 7:0. In the semi Final they accounted for their local rivals Manawatu 5:2. The final was against Auckland 1 who proved to be too strong however Adam raised his game to beat Roger Wang (one of Auckland’s best) to save us a from a white wash and result of 1:4. No other teams got a match off Auckland 1. Hui-Ling Vong ended up as a draft player in two teams. Cook Islands in the under 13’s and North Harbour in the under 15’s. She was the star player in both teams. The Cook Islands team finished in 3rd place and Hui-Ling then enjoyed the extra support from the Cook Islands players and families for the rest of the tournament! North harbour finished 2nd in a round robin competition with Auckland, Canterbury and New Caledonia. Auckland won, but not before Hui-Ling took a very well fought win over her long time rival Nai Xin from Auckland (for the 1st time!) The teams events concluded with medals all round. It was a great effort and an outstanding result. Thanks must go out to Hayden Tapp who assisted me with enthusiasm and quality in his coaching role and to Gabrielle Telfer for her management and cooking skills. Everyone was well fed and on time to every event. Also a mention to Sophie Telfer for her help to us all and to Till Armbruster (The Telfer’s homestay student) who unfortunately couldn’t play for us, but was a great team member, camera operator and hitting partner for the rest of the team. Huge thanks to the Infinity Foundation for their support on the coaching and expenses! Congratulations to all the Wellington medal winners and the support team for their endeavours.